Zimmerman Gets New Bond Hearing : The Two-Way The accused murderer of Florida teenager Trayvon Martin has a date for a new bail hearing. George Zimmerman will return to court June 29 to try to obtain bail. The accused killer of Florida teenager Trayvon Martin goes back to court June 29. 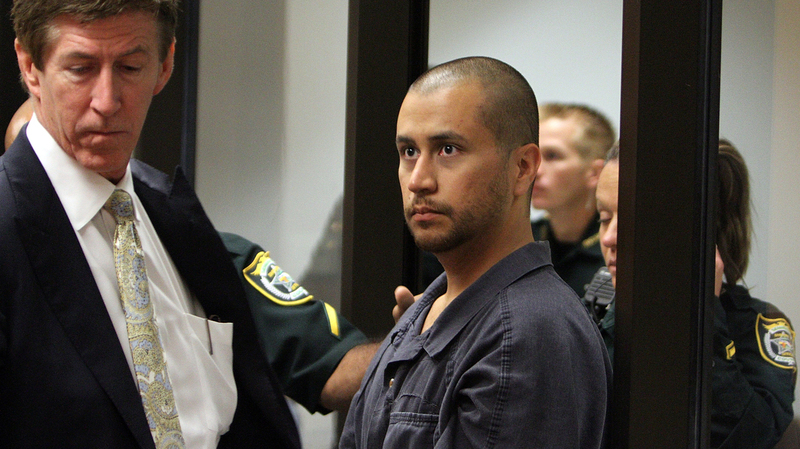 That's when a judge will review whether to increase the bail amount for George Zimmerman. He returned to prison over the weekend after his bond was revoked last week. The judge determined Zimmerman and his wife hadn't told the full truth about how much money they had, and were able to pay a lower bail. As AP notes, Shellie Zimmerman testified that she and her husband had limited income because she was a full time student and he was not working. WFTV reports George Zimmerman had raised $135,000 through web donations on a site he created. Zimmerman is a neighborhood watch volunteer who admits shooting and killing Martin, an African-American teenager, on February 26. He says he acted in self-defense but the case has inflamed racial tension across the country and he has become the epicenter of national attention. As for the issue of financial disclosure, Zimmerman's website says "while Mr. Zimmerman acknowledges that he allowed his financial situation to be misstated in court, the defense will emphasize that in all other regards, Mr. Zimmerman has been forthright and cooperative." The site adds that he disclosed the additional money a few days after the first bond hearing and that his attorneys immediately informed the court and prosecutors.